The crisis in the Ekiti chapter of the Nigerian Union of Journalists (NUJ) deepens as factions throw caution into the wind. The byproduct of violence is confusion and that is what is being witnessed in the Ekiti chapter of the Nigerian Union of Journalists. 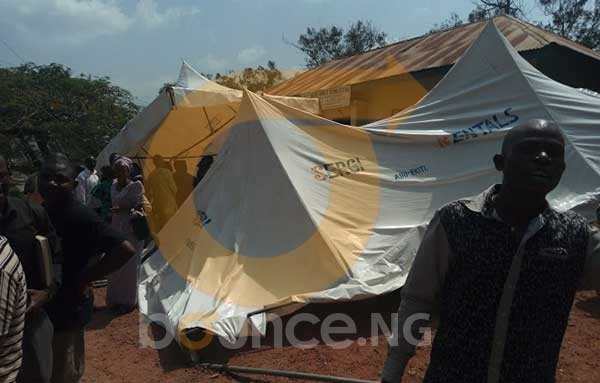 On Wednesday, Bounce News brought you reports with a video of the shameful violence that erupted at the election of the Ekiti NUJ. Of course, the election could not hold, and the national headquarters dissolved the electoral committee put in place for the conduct of the election. The National headquarters of the union thus inaugurated a five-man caretaker committee to steer the wheel of the union for three months with the view of conducting another election within the period. But in a swift reaction, the aggrieved party which consists largely of the state information chapel and the chapel of the state broadcasting service also inaugurated a parallel caretaker committee. There was mild drama at the press conference held by the national officers of the union as the aggrieved faction led by their chairmanship candidate, Rotimi Feyisina stormed the venue and harassed the officials. They afterwards inaugurated a separate caretaker committee with Adeola Babalola of state information chapel as chairman and Kelechi David of BSES chapel as secretary.